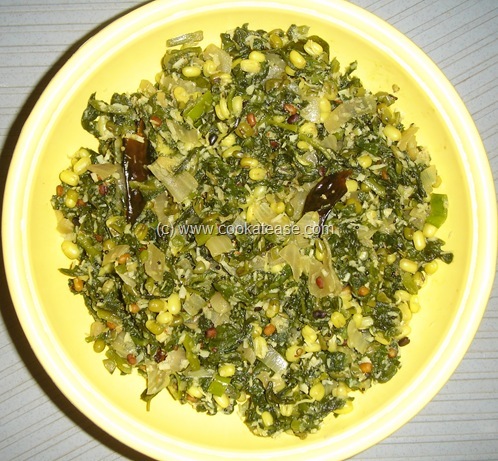 Sprouted dals are very good for health and are good source of proteins, calcium, fiber. Pasalai Keerai (in Tamil) is a type of spinach and is full of nutrients and fiber. Here I have prepared Sprouted Green Gram and Spinach Stir Fry. 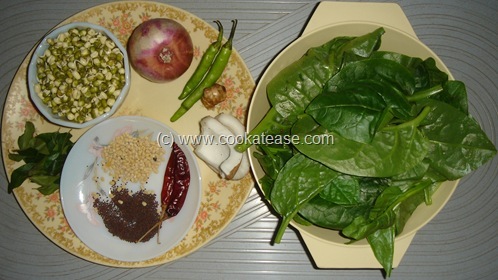 Wash and chop spinach leaves; chop onion, green chilli, ginger and curry leaves; grate coconut. 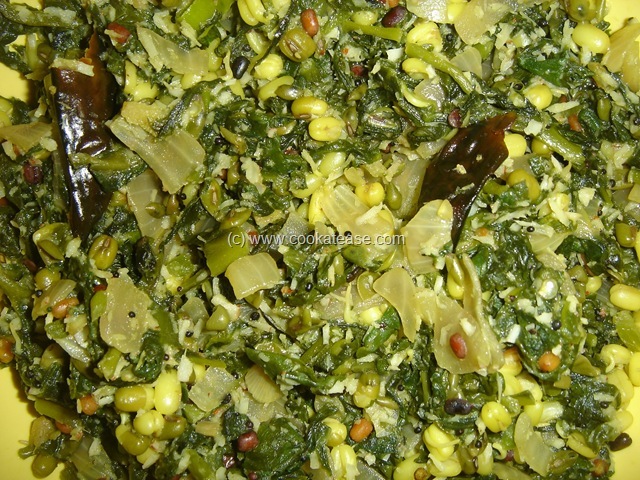 Heat a pan, do the seasoning; add onion, green chilli, ginger, turmeric powder and salt; fry this till onion is transparent; add sprouts and spinach; mix well, cover and cook till both are soft and done; add grated coconut and mix well. Serve with Rice or Chapatti. Use fresh sprouts and spinach. THats indeed a great combo’ of healthy food. a very healthy stir fry..